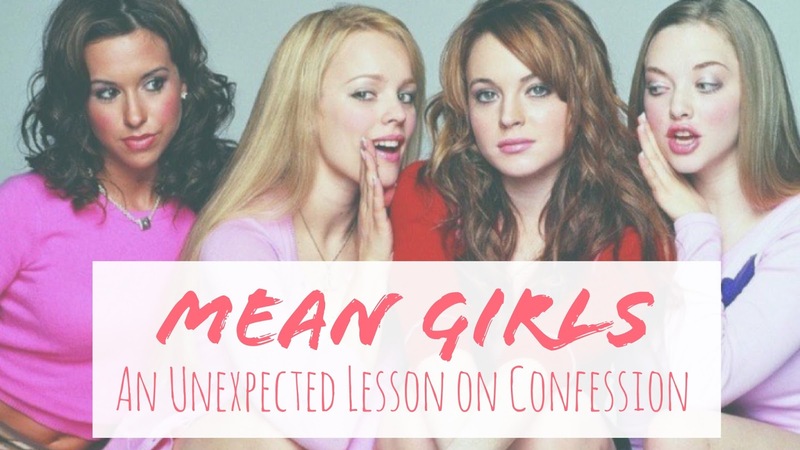 To give the quote context (necessary spoiler): Cady Heron (the protagonist) is coming to the realisation that despite all the hurt that Regina George (the lead ‘plastic’ aka ‘mean girl’ of the film) had caused her, she herself had started to embody all of the bad qualities that she was revenging against in the first place. Indeed, during her task to teach Regina a lesson, she had become shallow, manipulative and apathetic towards those that truly cared for her. Cady’s repentance was through a mixture of apologising to those she had hurt, publically owning up to what she had done wrong, and being willing to face the consequences. There’s a relatability within this story that resonates through. Cady’s character in many ways represents us as individuals; we all have feelings and can get hurt by others, but sometimes; we too mess up. In the scene where Miss Norbury asks everyone to raise their hand if they’ve ever heard someone say something mean about them behind their back, and then if they’ve ever similarly said something mean about someone else, it is refreshing to watch the peace that the students gain from realising that they have all been in the wrong just as much they have been wronged; hence all need to say sorry. It’s pretty obvious within the New Testament that whilst Jesus came to forgive our sins by dying on the cross for us, He also continually urged us to repent. It’s a two way street. Amidst the numerous passages in the Bible focused on this, Luke 5:17-26 emphasises our need for repentance very well for me. Jesus is teaching to the crowds, and so many people had come to listen that there was no more room to get through. Despite this, four men decided to lower a paralysed man on a mat through the roof above Jesus so that they could get to him, in hope that he could be healed. Seeing the faith of these four men, Jesus says to the paralysed man “Son, your sins are forgiven”, and later instructs him; “Get up, take your mat and go home”, and immediately in front of the crowds, the paralysed man stood up, picked up his things, and left praising God. The first time I heard this passage was during the Youth 2000 Summer Festival in Walsingham last year, where a talk on ‘Reconcilliation’ was being given by a Franciscan Friar. Putting us all in the mind-set of the paralysed man being risked his life dangling through the roof of someone’s home, he hilariously summarised what would have been my reaction to Jesus’ first words ‘Son, your sins are forgiven’ pretty perfectly – “Not the sins – look at my legs!! The legs!!”. I remember laughing because I had felt like Jesus had completely missed the point of why the paralysed man was there in the first place – right now he wasn’t looking to be forgiven, but wanting to be cured of something that was crippling his life. But actually, the point Jesus was trying to make was that despite the situation this paralysed man was in, he was still more in need of spiritual, rather than physical healing. Indeed, there are many moments in our lives where we might feel like God is not answering our prayers or the desires that we have in our hearts. Yet sometimes because we become so caught up over these ‘bigger priorities’, we overlook aspects of our life that require repentance. This is not to say that God will only answer our prayers once we become ‘perfect’ – because no one is perfect. The message it is getting at is that whilst Jesus has the power to do anything for us, the most important thing is to seek forgiveness from Him for times we have faltered, as that is what will bring us truly closer to our eternal happiness. A common difficulty with this guidance is that sometimes we don’t feel like our own sins are ‘bad’ enough to seek forgiveness for. 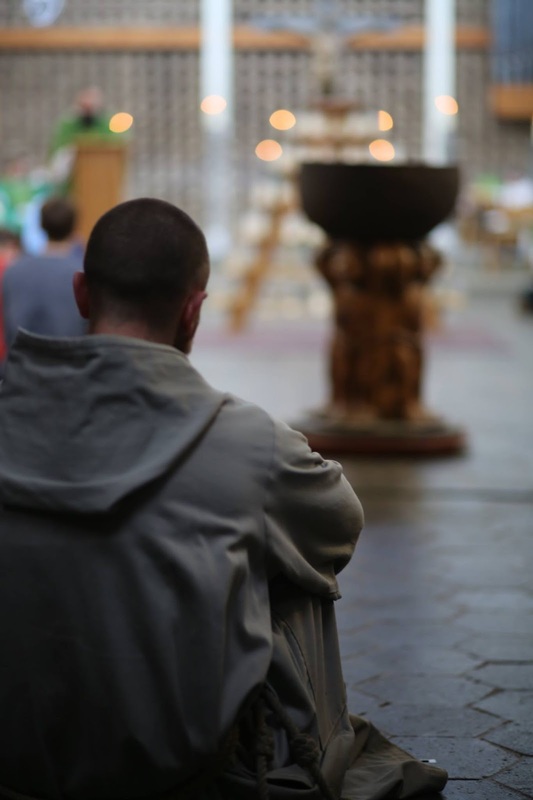 More pertinently, there may sins that we knowingly harbour in our lives because we have stopped feeling sorry for them, or avoid bringing them up in Confession for the belief that they would probably happen again anyway. Other times, it may be the unwillingness to confront a sinful situation with someone else for fear of the consequences that admittance could bring about. All these emotions of doubt or guilt are still products of the damage that sin has inflicted upon our lives. Sin changes us by preventing us from being our best selves that we are created for, and its restlessness represents our inward yearnings to turn towards God and turn away from sin. Indeed, the meaning behind the Greek word for repentance, metanoeo, points towards an internal change of mind and heart, rather than simply a sorrow for sin or change in our outward behaviour. Not only does sin damage the relationship between ourselves and God, it also damages our relationships with our brothers and sisters within the Church. “If one part suffers, all the parts suffer with it; if one part is honoured, all the parts share its joy”. Hence, just as the ‘poison’ needs to be sucked out of our lives as Cady highlights, only through the confession of our wrong-doings to both those we have hurt and to God Himself can we obtain the antidote of forgiveness to heal ourselves and our relationships. Only then can we be made anew. A frequent question asked within the Catholic Church is why we need to physically confess our sins to a priest to be forgiven by God. Truthfully, a hesitation I had growing up was that if God already knew all of my feelings – why couldn’t I just say sorry to Him within myself? Surely that was a much quicker, and less humiliating process, than telling it to my parish priest that I had to see every Sunday. Yet over time I have begun to appreciate the importance and power of confession. Specifically, I now see confession as our own personal therapy session with God; it is there to help us, not harm us. 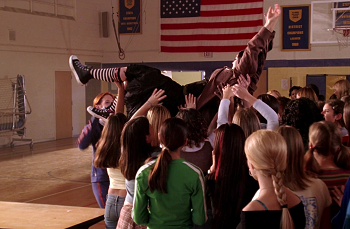 In one of the most memorable scenes in Mean Girls, Miss Norbury enforces a ‘trust exercise’ by asking every single student to stand up on a platform and verbally apologise for their mistakes in front of their peers, and to fall back into their arms after. 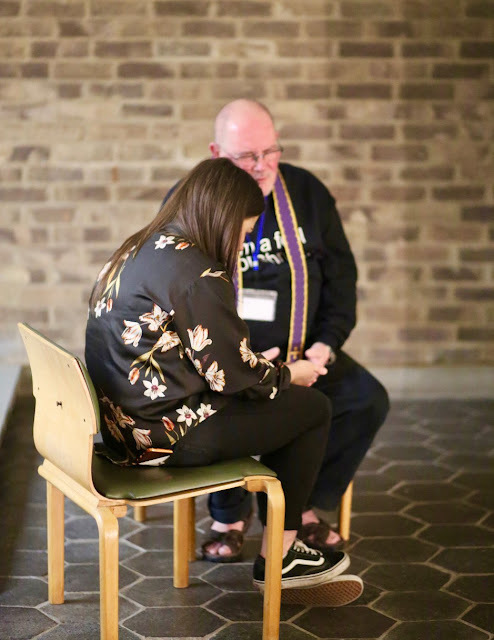 The sign of relief to watch students physically remove a ‘weight’ from their chest by saying sorry and experiencing forgiveness from others through being caught is beautiful, and in many ways represents the same experience we have with God in the confession room. It is our way of truly laying down our sins in front of Him with nothing to hide, and feeling the grace and peace of falling back into His outstretched arms; which will always be there to catch us. It also is key to remember that going to confession is a sacrament, which is defined as ‘outward sign of an inward grace’.The importance of this is highlighted in John the Baptist's words during his baptisms in the River Jordan; ‘“I baptize you with water for repentance. But after me comes one who is more powerful than I, whose sandals I am not worthy to carry. He will baptize you with the Holy Spirit and fire” (Matthew 3: 11). Indeed, when Jesus himself went to be baptised, John makes it clear that it is him who needs Jesus’ forgiveness, rather than the other way round. Yet because Jesus took upon our sins to die in our place, His baptism represented God’s eternal promise that through His forgiveness we can all be saved. The presence of the Holy Spirit at the moment of Jesus’ baptism is signified by the descending dove and the voice from Heaven declaring “This is my Son, whom I love; with him I am pleased” (Matthew 3:16-17). After the Resurrection, when Jesus appears to the disciples in John 20: 19-23, He breathes on them and says: “Peace be with you. As the Father has sent me, so I send you. Receive the Holy Spirit. Whose sins you forgive are forgiven, and whose sins you retain are retained”. Hence, through the power of the Holy Spirit during confession, the priest’s absolution washes us clean of our sins and lets us walk in a new relationship with Jesus. Whilst the roots of this post actually originated from a banterous dare by a friend, using the film to reflect on the importance of repentance during this Lentern period was surprisingly helpful. God’s mercy is eternal, and provides us with the opportunity to start again, no matter our past. In parallel, one of the key messages in Mean Girls is that forgiveness enables us to recreate ourselves for the better, where even the very 'Mean girls’ of the film have their own personal transformation by the finale, highlighting the goodness in everyone that can shine once detached from the bad. Hence, during this Holy Week, reflect on the areas of your life that require correction and God’s forgiveness, and try to attend confession to best prepare your mind and heart for the reality of God’s sacrifice for us. Finally, and I have to put this out there –who was Glen Coco?! Nobody knows. Literally, the film doesn’t even show his face. But despite that, he was the only student in the film that got a whopping 4 candy canes. Through a single line, the film subtly demonstrates that we don’t need to be the most perfect/ talented/ well-known person to be loved. We in our own unique ways, flaws and all, are individually precious to God, because we have been personally crafted by Him and are destined for greatness. So no matter what the world can think and no matter how we stumble through life – there is a God above who loves us so deeply and has so many plans for us; which is much, much greater than 4 candy canes worth. Happy Triduum. International Women's Day: The Catholic Feminist?